Orlando, FL – The Small Business Institute® (SBI®), the premier professional association of small business / entrepreneurship educators and researchers involved in student analysis projects, recently announced that a student team from the University of Central Florida’s College of Business Administration (UCF CBA) under the supervision of faculty and staff was a winner of its annual Project of the Year (POY) competition, taking third prize in the 2013 ‘Graduate Business Plan’ category. The UCF CBA team of graduate students Shannon Corrigan, Brett Penta and Lindsey Powers, under the guidance of the UCF CBA SBI® Program Director Dr. Lloyd Fernald and Faculty Supervisor Kathie Holland, produced a winning business plan for their client, Electronic Creations, in competition with MBA teams from across the country. In addition, the SBI® announced that the UCF CBA’s Small Business Institute® program has been named the winner of the 2013 SBI® Showcase Award. The award is made annually to the SBI program and its Director in recognition for innovative development or management, or because their SBI® efforts contributed to a true small business client success story. In the SBI®’s 2013 Project of the Year competition, the UCF CBA students worked with Orlando-based Electronic Creations (EC), a company engaged in the installation of automation systems, home theatres, audio systems, appliance controls, security systems and a variety of technological improvements to homes and commercial businesses. Working closely with EC’s President Robert Levy and Vice President Robert Foust, the student team’s consulting engagement and assignment was focused on preparing a business plan for the launch of a new subsidiary aimed at serving the rapidly growing age population of individuals over 65. Under the guidance of their UCF CBA SBI® Program Director Dr. Lloyd Fernald, Professor Emeritus at the UCF College of Business Administration, the student team oversaw and implemented extensive research and analysis to determine industry best practices; met weekly to understand company processes and procedures; and performed wide-ranging analysis of business and industry strategies and performance. As a result of their efforts, the students were able to provide a comprehensive business plan comprised of both a short- and long-term strategic analysis and set of recommendations. 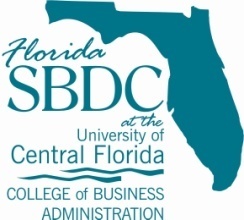 The Small Business Development Center at UCF in conjunction with the UCF College of Business Administration manages the SBI® program locally. SBI® is a nation‐wide program that provides high‐quality business assistance to companies in need while providing an extraordinary opportunity for university students to learn through field case studies. Each project is led and conducted by a group of students under the supervision of an SBI® Director or Faculty member. The experience is often cited by students as being one of the most rewarding of their academic careers. In today’s collegiate environment there is a strong emphasis on experiential learning, and the SBI® has been at the forefront of this movement for over thirty years. At the UCF College of Business Administration, SBI® is a graduate‐level elective course within. Students enrolled in the class provide management consulting services to local small businesses. Each student team has direct contact with the client and produces a professional case report. 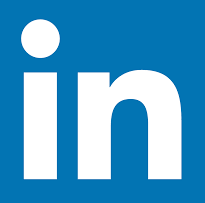 The report is the ultimate product of the program and is tailored to each business. Case study reports have included market research, marketing plans, competitive analysis, advertising strategy, customer surveys, strategic plans, financial analysis, human resource manuals and business plans. With its main office in the National Entrepreneur Center (formerly the Disney Entrepreneur Center) now located at the Fashion Square Mall in Orlando, the Small Business Development Center at the University of Central Florida (SBDC at UCF) is part of the UCF College of Business Administration and the Florida Small Business Development Center Network, providing business seminars and no-cost, one-on-one business consultation to small business owners. The SBDC at UCF serves an eight-county area that includes Brevard, Flagler, Lake, Orange, Osceola, Seminole, Sumter, and Volusia counties and maintains seven satellite service centers. In 2011, the SBDC at UCF helped entrepreneurs create or retain 1,517 jobs, win contract awards worth $28.9 million, acquire $17.7 million in capital formation, and increase sales by $51.9 million. The SBDC at UCF is funded in part through a cooperative agreement with the U.S. Small Business Administration.